On Sale Now! 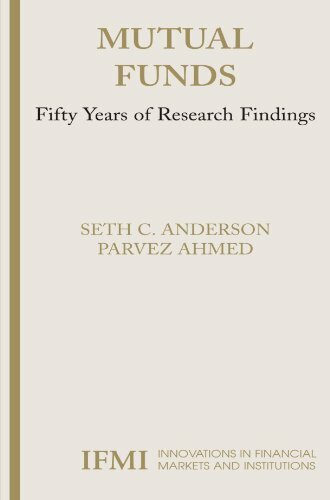 Save 10% on the Mutual Funds: Fifty Years of Research Findings (Innovations in Financial Markets and Institutions) by Seth Anderson at HYIP Offer. SKU: 11866180. Hurry! Limited time offer. Offer valid only while supplies last. Mutual funds are the dominant form of investment companies in the United States today, with approximately $7 trillion in assets under management. Mutual funds are the dominant form of investment companies in the United States today, with approximately $7 trillion in assets under management. Over the past half century an important body of academic research has addressed various issues about the nature of these companies. These works focus on a wide range of topics, including fund performance, investment style, and expense issues, among others. MUTUAL FUNDS: Fifty Years of Research Findings is designed for the academic researcher interested in the various issues surrounding mutual funds and for the practitioner interested in funds for investment purposes. The authors briefly trace the historical evolution of funds, present important aspects of the Investment Company Act of 1940, and then summarize a substantial portion of the academic literature which has been written over the past five decades. "This book presents an outstanding wealth of information on mutual funds in a remarkably readable format. It is probably the most comprehensive work currently available on funds. The book sheds light on the numerous issues surrounding mutual fund performance and pricing and is an important resource for any serious investor." If you have any questions about this product by Seth Anderson, contact us by completing and submitting the form below. If you are looking for a specif part number, please include it with your message.